Welcome to Blogtober! This month I've decided to try and blog every day in October, that's 31 posts coming your way! Last month my blog hit it's six month birthday and after mostly consistently posting three times a week I've decided to step it up a gear and set myself a challenge. The main reason that I'm doing this is because I feel like my content has been a little stale lately. Don't get me wrong, I still love everything I post and I put a lot of effort in to every single thing but I feel like my content isn't as varied or interesting as it could be. I've been thinking about this for a while now and I figured that blogging every day for a month would kind of push me to be more creative and develop my blogging style. I'm also hoping that it's going to connect me more to you guys, my readers, and hopefully develop more of an audience as you come back each day for a new post. I'm going to be posting a variety of things, not just bookish posts, there's going to be lifestyle, maybe baking and in terms of bookish content I'm hoping to get to some reviews and discussion posts that I've been thinking about for a while. Some posts will be shorter and quicker than others, and there will be some photo diary and tag posts, just so I don't completely burn myself out. This is going to be a huge challenge for me, both creatively and physically. As I've mentioned before on this blog I've been dealing with a lot of health issues this year and I really want to do this as a way of getting into a more structured routine and just to see if I've got it in me to complete this. I know it might be difficult at times but I'm not going to beat myself up if I fail and I'm going to remember to just have fun with it. 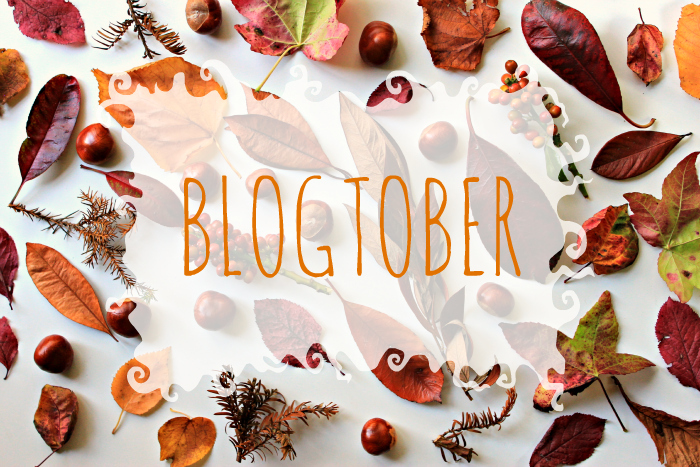 So here's to Blogtober! Don't forget to come back every day for a new post and if you've got any ideas about what kind of posts you'd like to see, please leave them in the comments below!